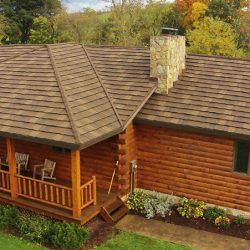 DECRA Shake XD® is a stone coated steel roofing material that has been carefully crafted to look similar to classic hand-split wood shakes. 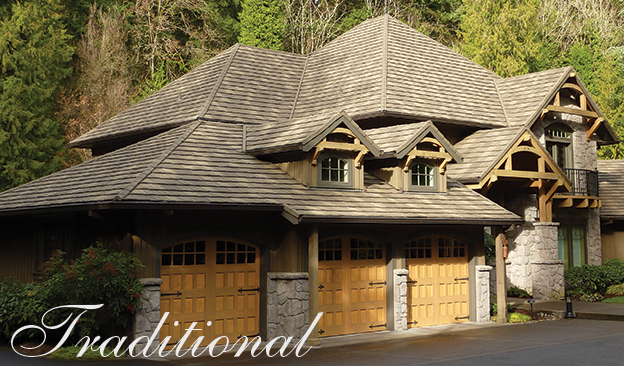 Rather than facing the issues that wood roofing materials can bring, DECRA Shake XD® allows homeowners to capture the rustic beauty of wood shakes with the durability of stone coated steel. If you are interested in upgrading the appearance of your home, while improving the durability of your roofing system, talk to your Greeley roofing contractors at Sorensen Roofing & Exteriors today about implementing DECRA Shake XD®. DECRA Shake XD® provides a unique installation method that utilizes a hidden fastener system. This allows for a seamless appearance and improved durability. 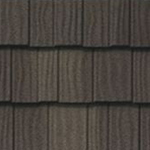 This roofing material can be installed directly to your roof’s solid deck, which makes for a weather-resistant roof.. Weighing only 1.5 lbs per square foot, this lightweight roofing material will not put undue stress on your roofing system as a whole. 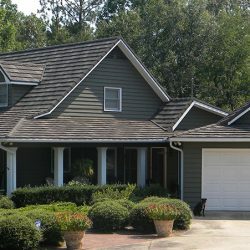 Choose from beautiful color options, such as pinnacle grey and woodland green, to ensure that your new roof matches your personal design preference. DECRA Shake XD® is crafted with stone coated steel, which means that you will enjoy your new roof for many years to come. This roofing system will hold up against harsh winters and baking summer sunlight, offering your home protection year round. 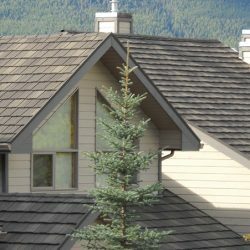 Sorensen Roofing & Exteriors is proud to provide outstanding roofing services across Northern Colorado and Southern Wyoming. 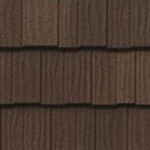 Our Greeley roofing contractors are here to assist you as you shop for the perfect roofing materials for your home. 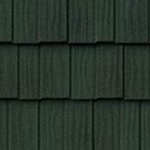 If you have always loved the rustic look of wood shakes but have been hesitant to utilize this weaker material for your roof, consider DECRA Shake XD®. 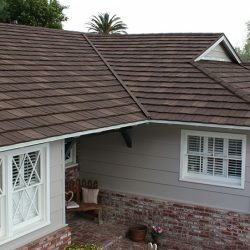 This roofing system will give you all the best of wood shake appearance, without the hazards associated with wood roofing materials. 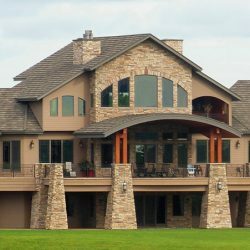 Reach out today to get a free estimate from Sorensen Roofing & Exteriors. 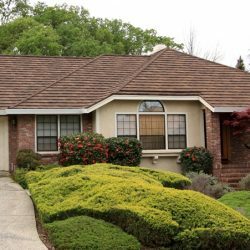 We will be happy to help you pick out the perfect roof replacement for your home and you can count on our team to install your new roof up to industry standards.